Another week, another rollercoaster ride for the Maroons. Yet again, Chicago (13–8) won a game and then lost one, further demonstrating the team’s inability to keep their momentum. An exciting 4–3 victory over Dominican (12–12) on Tuesday in the top of the ninth was overshadowed by a failure to exact revenge on Aurora (19–4), as the team lost 9–4 at home on Wednesday. Generating momentum isn’t a problem for this Maroons team. The issue lies in sustaining it. “We played great against Dominican, however I think we would have liked to take advantage of the large number of base runners we left on base,” second-year outfielder and first baseman Brett Huff said. Chicago got on the board early against the Stars, taking advantage of a leadoff walk and passed ball to go ahead 1–0 on fourth-year catcher Stephen Williams’s sacrifice fly. They surrendered the lead in the bottom of the first inning, in an inning plagued by two Chicago errors. 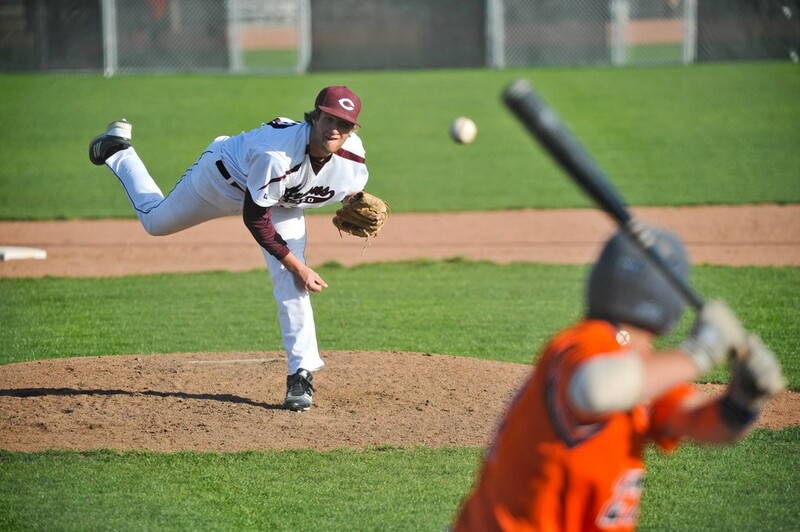 The game stayed close, though, as the Maroons tacked on another run in the top of the third. Dominican answered with a run in the bottom half of the inning to maintain their lead. In the top of the fifth, down by a run, second-year first baseman Claude Lockhart’s RBI fielder’s choice tied the score at three runs apiece. The tie would stay fixed until the ninth. In the top of the ninth, a day after third-year outfielder and pitcher Jack Cinoman’s walk-off triple, the Maroons’ chances initially seemed bleak. Third-year outfielder Ben Bullock popped out to lead off the inning. Cinoman, the previous day’s hero, mustered no more than a groundout. With two down and the score tied, Dominican walked third-year infielder J.R. Lopez and Williams. Lockhart, who had tied the score earlier in the game, came to the plate with two aboard. He hit an RBI single to plate the Maroons’ only run of the inning. Lockhart, who has, at least temporarily, taken Cinoman’s place as the player who does it all, batted in the go-ahead run in the midst of twirling a complete game effort. He went back out for the bottom of the ninth and was able to work around one Maroon’s error to finish the game. “Our defense really clicked and we were able to make big plays to help ourselves avoid big innings,” Huff said. Despite all of the positivity that must have been permeating the locker room after the stellar outing from Lockhart coupled with his clutch hit, the South Siders were not able to translate that energy into a win against Aurora the following day. The Maroons struck first again, plating four runs in the bottom of the third. Lopez hit an RBI single, Williams received a bases-loaded walk, Huff hit an RBI single, and second-year infielder William Katzka capped off the inning’s scoring with a sacrifice fly. Those four runs were all the squad would manage the entire afternoon. In the final six innings, they yielded nine runs to visiting Aurora, allowing the Spartans to beat them yet again. The Maroons will have a few days off to refuel before competing again. On Sunday, they will host a doubleheader against Monmouth. The Flying Scots head into the game with a record of 8–14. The Maroons will be looking to take advantage of playing a team with a significantly worse record than teams like Aurora, which have given them trouble. First pitch for the first game against Monmouth is scheduled for noon on Sunday at J. Kyle Anderson Field.